How To Get Speaking Engagements At Conferences? On a recent episode of BernadetteTV, I shared a special strategy for getting more business by speaking. When you’re just starting out, the process of booking your first presentation, or deciding what you’ll speak about, may feel daunting. The good news is that it’s actually quite easy! 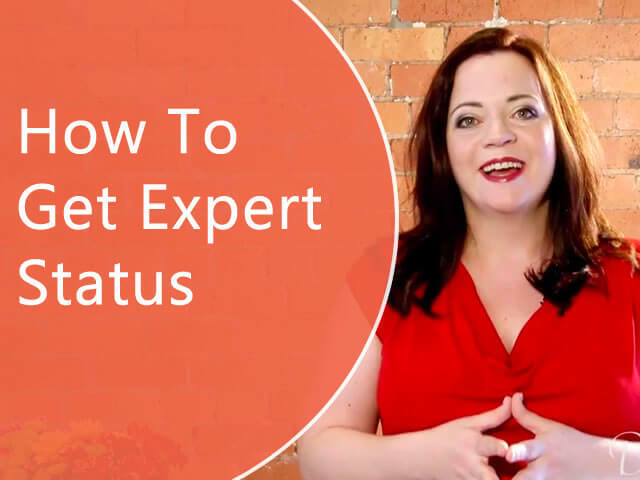 In this episode of BernadetteTV, I’m sharing a quick and easy process for getting speaking engagements, because speaking is a fantastic way to get yourself established as an expert and an authority. Here’s the catch: You’ve got to hustle. But it’s worth it! First of all, people often set their sights too high when booking a speaking engagement. There are easy places to get booked, and you want to speak wherever you can! Look for local groups that hold meetings in your area. Consider Chambers of Commerce, local business groups, or local chapters of national organizations. The library is a great source for finding local groups, as is MeetUp.com. Do your research, find local groups, and make a list of the groups where you can speak. This gets the ball rolling. Once you get onto the speaking circuit, you become better known, and the opportunities and invites snowball. After you’ve developed a list of places where you can speak, pick up the phone. Call the organizations and ask to speak to the person in charge of booking speakers. When you get in touch with that person, tell him that you’ve got a topic you believe will be of interest to his members, and ask if he’s looking for speakers. Once you’ve booked a presentation, send the organizer a “One Sheet,” which summarizes your topics, your experience, your background, and your connections, and provides a great photo. That’s exactly how I got my gigs, and it was much easier than I expected. Now, get to work! It’s time to create your own action plan for getting speaking gigs. I’d love to hear from you! Have you booked any speaking gigs using this process? What tips and pointers can you share? Continue the conversation below.